Why have an "indie rate guide?" What constitutes an "indie project"? Nearly every day, conversations come up on our server from newer voice actors wondering what is appropriate to charge when indie/online content creators ask “send me your rates”. With no discernible standard for these smaller-scale projects, actor rates tend to be all over the place and it can be stressful for less experienced actors trying to figure out what to ask for. Shoot too low and you undervalue your time and worth, but shoot too high and it can cost you a chance at the job. What to do? Industry standard rates for character work are almost always listed in a per-hour format, as these projects tend to be recorded in-studio with a live director. However, per-hour rates don’t always suit online creators who aren’t directing their projects live and need a per-line or per-word model instead. While we strongly recommend consulting the excellent resource that is the GVAA Rate Guide (www.voratecard.com) for any sort of industry work, the reality is that many of these small-time, low-budget projects (often made by students or other young people) simply do not have the budget that a major studio or commercial company does. They want to collaborate with online up-and-coming voice talent who are able to help them out for prices within their limited budget. Sometimes, projects that say “include your rates as part of your audition” end up becoming a race to the bottom. It is unfair to force talent into a “bidding war” based on who charges the lowest, and ultimately hurts the community in terms of everyone being able to ask for fair payment. An easy-to-reference rate guide will help up-and-coming voice talent feel confident in what to ask for on low-budget indie projects while also not alienating small-time content creators who can’t afford industry standard rates. This is a work-in-progress document meant as a suggestion for both independent creators and voice actors. Project budgets and actor rates will vary, so it’s important to keep in mind that this guide isn’t meant to be any sort of authority. This guide is meant only for low-budget, independent content creators/teams with limited commercial release. For projects with appropriate funding or significant budgets, we strongly recommend utilizing GVAA’s Industry Standard Rate Guide, which can be found at www.voratecard.com. Indie rates are a courtesy to small-time creators, not a standard practice. If you are contacting professional actors who do VO for their living, they may ask to adhere to industry standard rates only and this decision should be respected. Some actors and creators will be willing to negotiate on payment based on the specifications of the project and their level of personal interest. Indie projects tend to be more “passion projects” rather than strict commercial endeavors---sales are more about recouping costs than turning a major profit. A general estimate of how much money is intended to be made off the project can be a baseline as to the types of rates the producer can afford. These don’t need to be specific numbers, but---for instance---an indie game intended for console release at significant prices and with microtransactions would generally have more money to allocate for production than a pay-what-you-can visual novel on Steam. Doing a bit of research on the scope of distribution can help you when coming up with a quote. It is preferable overall for producers to be up front about the budget they are offering for voice talent, rather than having actors “guess” what rates they can put when they send their audition. It is acceptable to have talent negotiate for a higher rate as a condition of their participation in the project, but it should not be considered acceptable for talent to submit rates lower than the posted payout in order to better their chances (or to encourage talent to “bid” lower if they wish to better their chances). Notes: Los Angeles industry standard rate for nonunion video games and original animation is $200-$250 per hour, generally with a 2 hour booking minimum. We strongly recommend using an hourly rate model if actors will be required to have live direction. *Per-hour refers to each hour of RECORDING time, not per finished hour of audio. Notes: Word count is generally best for projects that involve a lot of narration rather than dialogue. If you need an easy way to count words per script, check out www.wordcounter.net. Actors normally send their lines as one long wav or mp3 file either raw (no editing or processing) or cleaned up (removing mistakes and dead space, basic noise reduction if necessary, possibly light compression/EQ/de-essing if the actor chooses to do so.) However, please keep in mind that splitting and labeling each line and take into individual files is a large amount of work and should be compensated accordingly if required by the producer. A few separate files (for example, split by chapter or episode) usually isn’t a big deal, but if the actor is required to split and label a bunch of separate files, this can result in a significant amount of extra work time and should be compensated accordingly (per file or hour) unless volunteered by the actor. Hourly fees for editing vary per person. If you require special effects or intensive editing, we recommend hiring an engineer, but if you require this from the actor please communicate this beforehand so they can factor it into their quote. 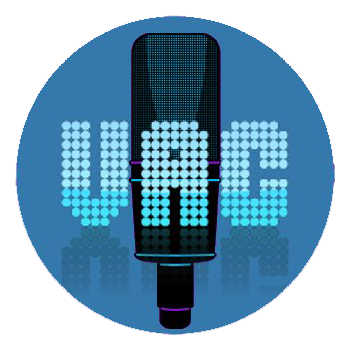 If you’d prefer to pay a third party to do all your sound/dialogue editing, we have audio engineers available for hire on the VAC Discord Server. We strongly encourage producers to either do the file splitting and labeling themselves, or hire an audio engineer for larger projects to split files and EQ everyone’s audio to make it sound great! If the revision is the actor’s fault (for example: missed or misread line, mispronounced word, major technical problem), the actor should re-record the affected line(s) at no additional charge. If the revision is the producer’s fault (for example: script changes, additional lines needed, missed/forgotten parts of script), the actor should be paid an additional fee for re-recording. If the revision is due to wanting a different direction in the read, revision fees vary per actor. Some actors will include a limited/reasonable amount of revisions at no additional charge; however, other actors may charge for any and all pickups that aren’t directly their fault. To decrease the likelihood of excessive revisions, we encourage producers to be as clear as possible about their specifications and for actors to send a sample read for approval prior to recording the full script. For independent (self-directed) recordings, actors will generally send between 1-3 takes per line for a final project depending on the producer’s specifications. Sometimes, more than 3 takes may be requested for certain assets such as effort sounds. 2 takes per line is recommended as actor default unless otherwise specified. Long-form narration projects should be subject to an extra fee per additional take unless volunteered by the actor. Remember that this is a constantly-evolving guide and may change over time based on the needs of the community!